It’s that challenging new-year-new-me time again, and we need to summon all our knowledge, courage, and motivation to reinvent our sales process and Klose like never before. We’re lucky to be currently witnessing the emergence of different disruptive technologies which transform the world of sales and help us structure the hyper-tailored outreach, get in the minds of our prospects, and predict their behavior, among other things. But what about lead generation? 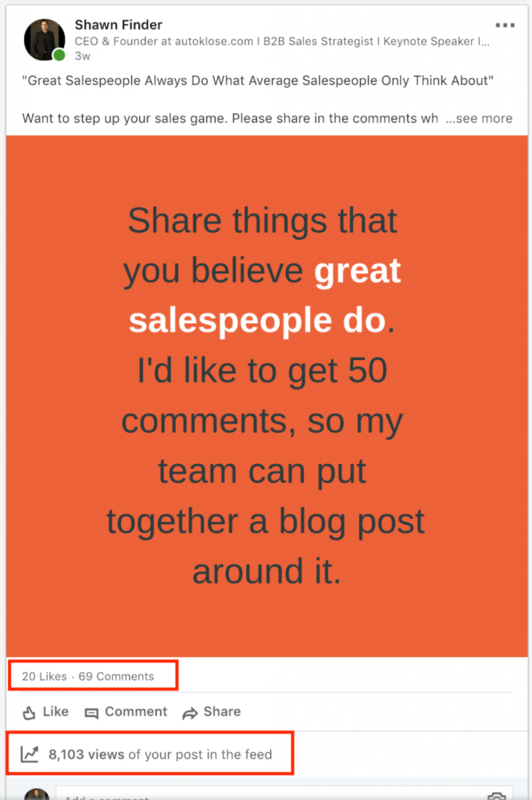 Being a top challenge for 61% of sales reps, this tactic requires all our attention. Effective strategies paired with the latest tech can be a real game changer, so let’s discuss what 2019 has in store for us. Practically everybody (and their mother) is on social media! Facebook boasts 2.27 billion monthly active users. 326 million people actively share their opinion on Twitter. More than 562 million business professionals from 200 countries grow their network via LinkedIn. That puts you in a position to expand your reach and spread the word about your product or service all around the world. 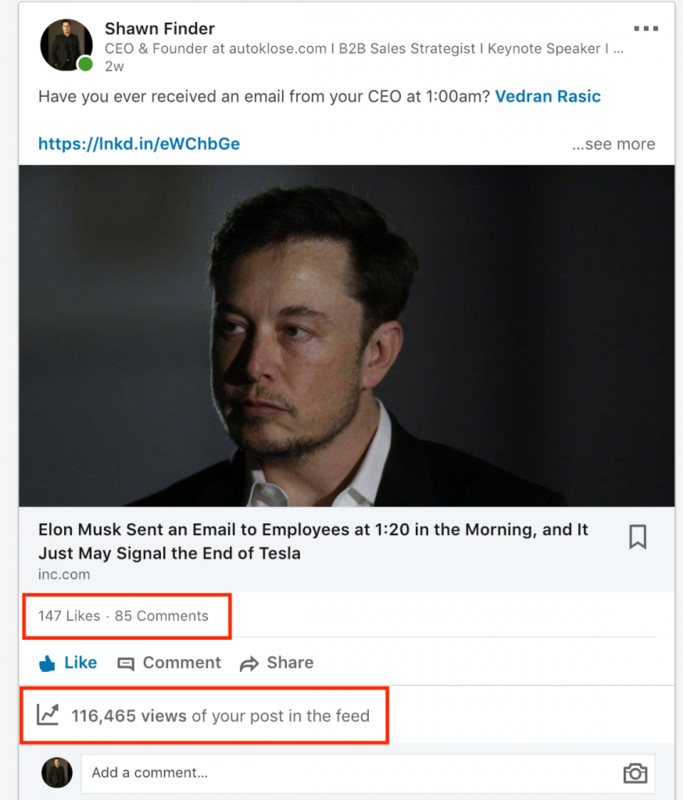 But all the shares, likes, retweets, faving, and other types of audience feedback you monitor on a daily basis are just vanity metrics and the dead capital unless you know how to engage with your target audience and have meaningful conversations with them. Of course, the different nature of all these social media platforms calls for a totally different approach when it comes to getting in touch and building engagement with your prospects. So how do you engage? 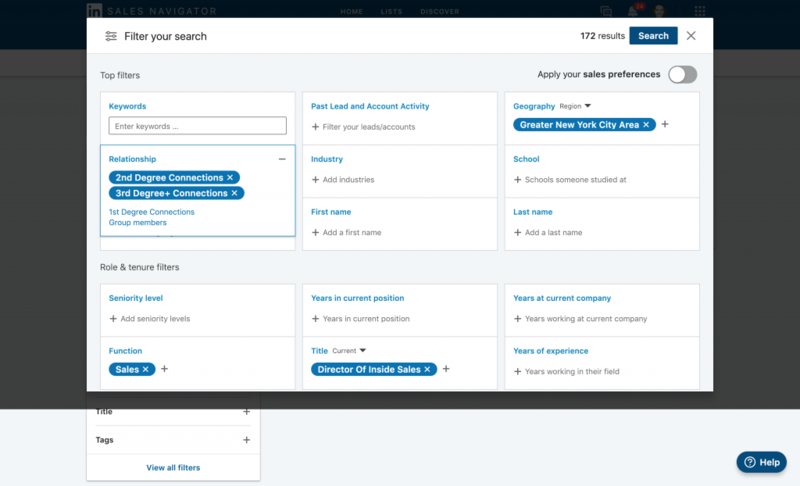 LinkedIn Sales Navigator is the company’s own social selling platform which allows you to identify and reach out to the best leads for your business with the help of an array of different search parameters. You can search for leads (contacts/people) or accounts (companies). You can narrow down your search based on location, industry, company size, and titles. For the sake of this example we’ve selected Directors of Inside Sales, based in NYC. The result =172 people because we haven’t added other variations of the title such as Inside Sales Directors etc. When we click search, we will get a list of profiles (172 in this case). 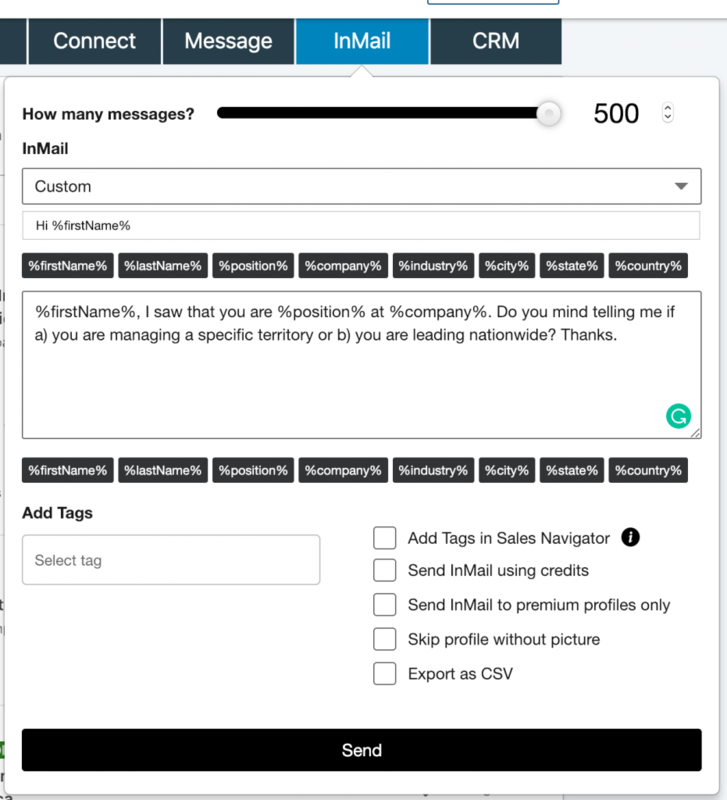 This tool lets you send InMail messages to LinkedIn members even if you’re not connected with them. But it has limitations based on your package. Now with LinkedIn, you have the option to lock/unlock your profile for connections other than your 1st-degree network. So some profiles are open to direct messages even if you are not in the same network while others are closed profiles. In our list from Sales Navigator, next to the name, degree network and paid/free LinkedIn icon, you will spot OPEN. Yes, you can segment and then go after these profiles manually, one by one or you can do it automatically. 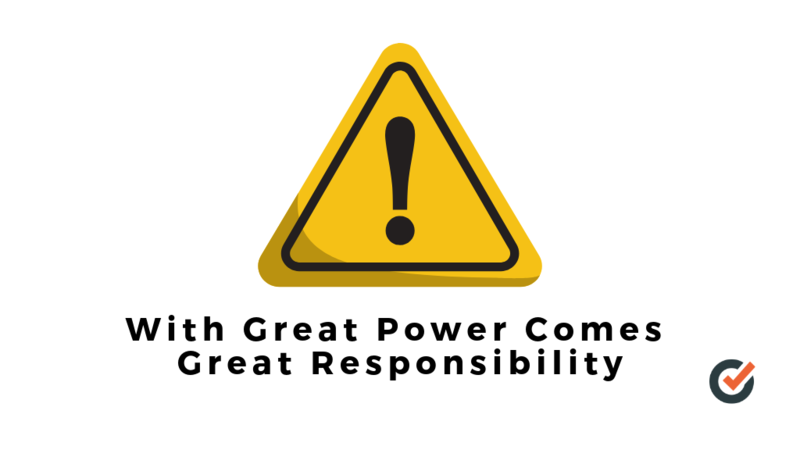 Mind you, with great power comes great responsibility! 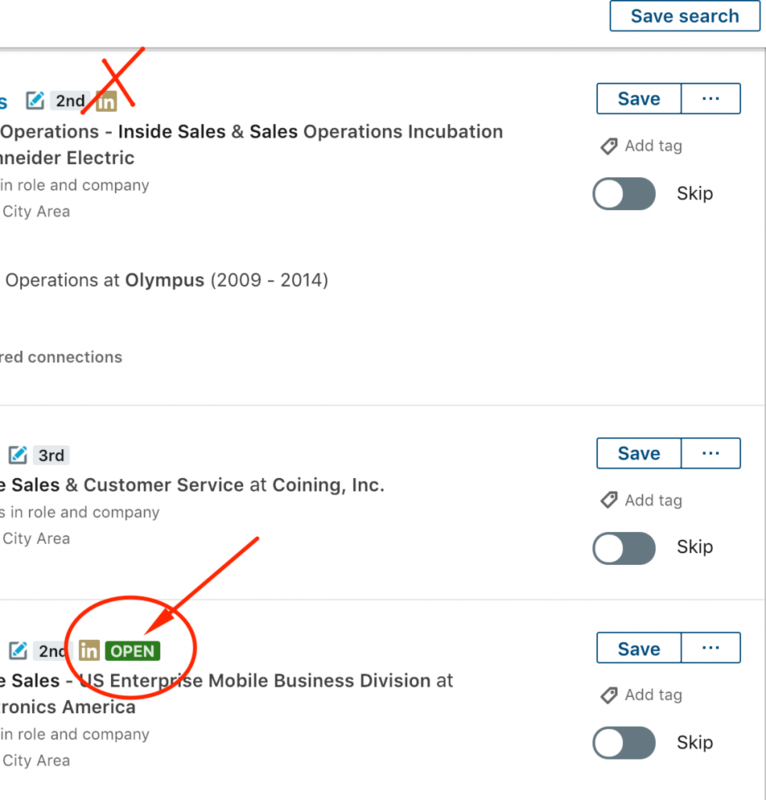 You can use one of these LinkedIn Automation Tools to send long messages to strangers, with fake interest, add connections and bother connections to death, but that will hurt your business and reputation. Or you can be smart and create a “bar-type” conversation, where the words, questions, and curiosity goes both ways. That curiosity placed in a plain and simple English sentence or two will return 33-45% engagement. More than any other long pitch form email and follow-up (tested on thousands of contacts in different niches). Again, you can message one by one, or use a third-party tool which can take your prospecting and lead-generation efforts to a whole new level (500 messages per day, per one LinkedIn profil). It saves you a lot of time that you’d otherwise spend sending messages individually and striking up numerous conversations with potential leads. This should be done every working day. The first thing you do as a Sales rep when you come to the office. No excuses. Writing comments is essential if you want to distinguish yourself and build connections with others. Besides that, by joining groups relevant to your niche and participating in discussions will also help you get a high profile and establish yourself as a thought leader and expert in your field. 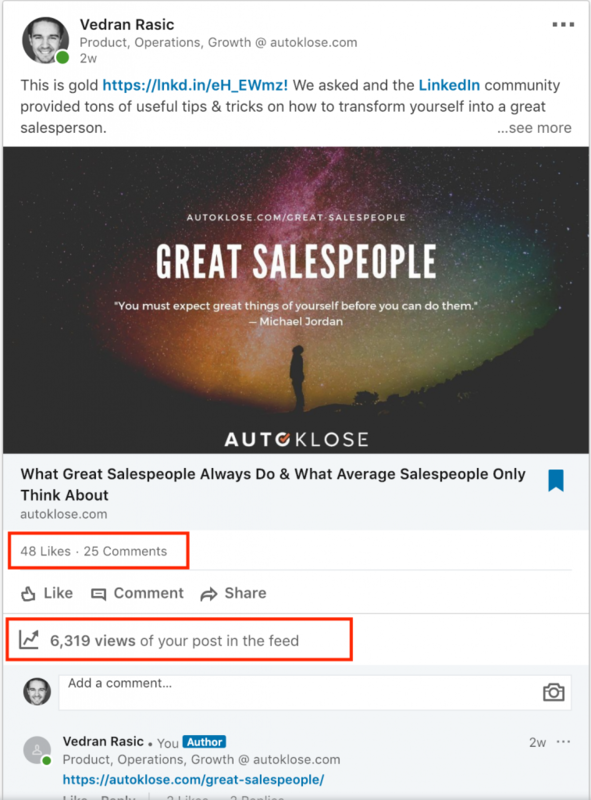 So, make sure to be helpful and share your knowledge with others by posting helpful articles that you can also send to your connections and potential leads with the help of LinkedIn Sales Automation Tools. This way you’re building your personal brand and that’s the most important thing when it comes to lead generation because people trust individuals (and brands) who are prominent and visible. Read more about how to leverage social media for your lead generation efforts in our blog post on the topic. Post 3-6 times a day different types of post to your LinkedIn. Be the voice of your industry. As mentioned earlier, Facebook boasts 2.27 billion monthly active users. 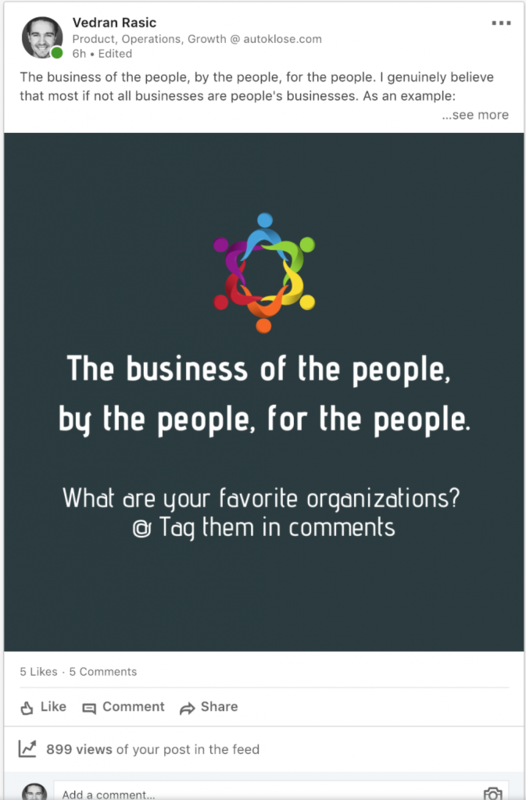 However, not everyone is your market and Facebook is not necesdarily where people go to do business. Facebook is changing with Facebook Marketplace but more importantly for this topic the good old Facebook Groups. – Badass Marketers & Founders (BAMF) lead by Josh Fechter. Your schedule is most probably packed with meetings, tasks, and different activities. The same applies to your leads. Sometimes they don’t have enough time to squeeze in reading your messages and emails. But, what they could most certainly do is watch your personalized video message, or even listen to it while they’re driving to work. 59% of decision-makers say that they’d rather watch a video than read an article if both are available. Apart from being much easier to consume, video also makes things more personal. The very fact that your prospects can see and hear you will help them establish a connection with you. As the tone of your voice and facial expressions are of paramount importance when it comes to establishing rapport, it’s clear that a personal video will make them feel as if you were in the same room, chatting. That’s the reason why Autoklose joined forces with Vidyard and implemented GoVideo, a super cool feature which allows you to record your personal video directly from our email editor and easily attach it to your campaigns. Adding the word “Video” to your subject lines will increase your open and click-through rates, so always use this trick to capture the attention of your recipients. We’ve done a blog post on how to drive engagement and conversions by using video in your sales outreach, and we suggest you read it and find tons of actionable tips. There’s another way to utilize video for lead generation purposes. Namely, by tapping into the power of this format, you can enrich your content and make it more captivating and interesting. Why not put a twist on your existing content and transforming your blog posts into videos? Lumen5 is an AI-powered, easy-to-use tool that can help you create attractive videos from your blog posts. You can add different backgrounds and animations, use various fonts, and pick the music that best fits your topic. It’s a great way of recapping your lengthy blog posts and emphasizing its main points. 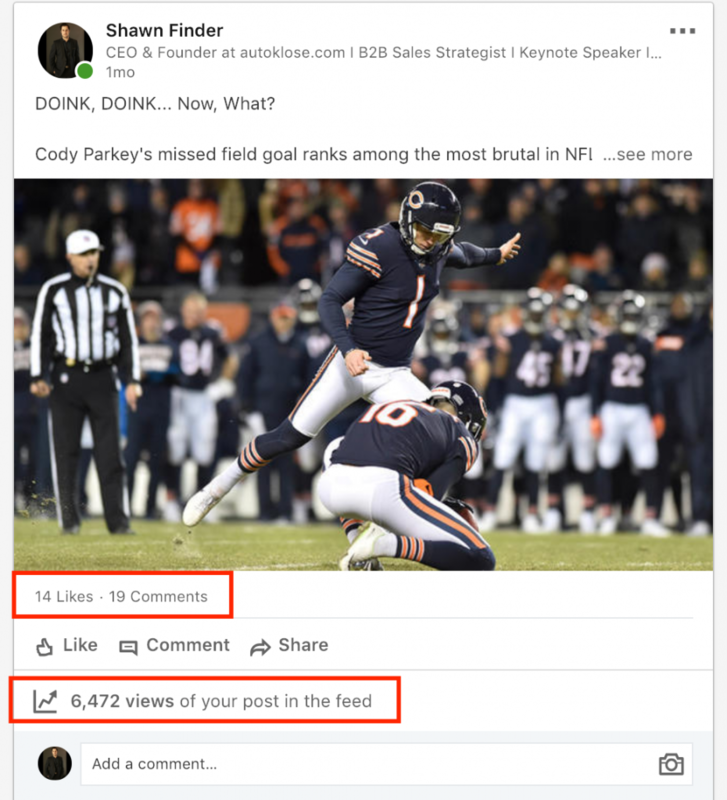 Such a video can be a great teaser for your latest blog post, and if you share it on Instagram, Facebook, and other social media, you can intrigue your audience to visit your blog and read the original post. Finally, don’t forget to add a CTA to your videos, as otherwise your audience will watch the video but won’t understand what exactly you want them to do. When it comes to personalization and engagement, you need to take your audience’s preferences into consideration. This applies to the time when they’re ready or available to talk to you. But, the thing is that they’re scattered across different time zones and it’s virtually impossible to live up to their expectations to have 24/7 customer support. These smart algorithms have taken the world of marketing and sales by storm with their capacity to engage prospects and customers by providing them with answers they need at any time. Besides being extremely useful in terms of engagement and conversions, chatbots can also save you a lot of money that you’d otherwise have to spend on hiring additional support reps.
With the advancement of AI, ML, and NLP chatbots have become increasingly powerful in terms of being able to communicate beyond offering predefined answers. It’s expected that in the near future, it would be virtually impossible to tell a smart chatbot from a regular sales or customer support rep.
By 2020, almost 85% of all customer interactions with brands will be performed without a human agent. People hate forms! 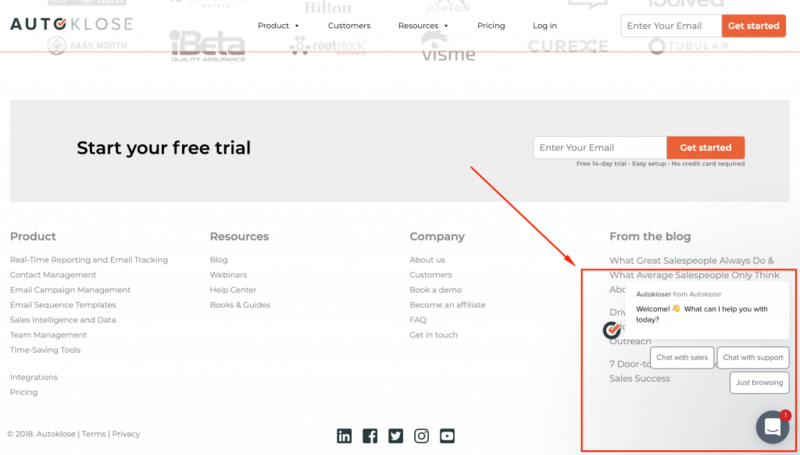 Many of them simply bounce when they’re presented with a lengthy contact form they have to fill before signing up for a trial. Chatbots can provide targeted messaging based on the information prospects provide them and thus keep them engaged. Educating B2B sales leads is of vital importance, and chatbots can do that effectively. They can showcase your product or service and answer questions regarding its use. Instead of waiting for available sales or customer support rep, your prospects will be taken care of by the chatbot. Chatbots can capture and analyze huge amounts of customer data. Chatbots can collect all the information about a prospect and processes them thus providing you with a valuable insight into their interests and pain points. Bots can even memorize data about every individual prospect and use it for personalized and targeted communication with them. Email marketing is an excellent lead generation strategy, no matter what some people say. It just needs to be properly crafted and executed. The most important thing is maintaining a clean contact list. Scrub it on a regular basis and get rid of hard bounces. You can generate leads only if your campaigns are segmented, targeted, and automated. That’s where Autoklose comes in to help you do all this and much more. Our sales automation platform offers advanced segmentation and targeting features so that you can build hyper-personalized campaigns which will resonate with your leads. Craft the converting copy, schedule your campaign, and automate it. As simple as that. The rest is up to us. Don’t forget that being persistent is the only way to get your leads to respond, which is why follow-ups play an important role in this strategy. 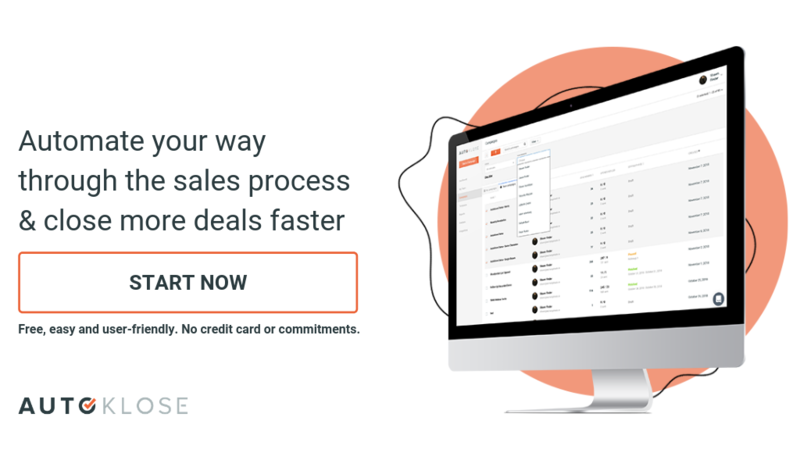 We’ve introduced the so-called Always Running Campaign feature to make it easy for you to add recipients and follow-ups to your existing and finished campaigns and keep them running indefinitely – or until your prospects don’t respond. It’s a thin line between making a decision to open your email or send it to the spam folder and that’s a subject line! Keep it short, sweet, and relevant, and offer a sneak peek that will intrigue your prospects enough to open it. Check out more tips in our blog post. Accentuate benefits instead of features. However, if you’re struggling to come up with decent copy, Autoklose has another solution for you – a number of predefined, easy-to-use email sequence templates for different business situations. As we have mentioned, a clean contact list is of critical importance for your marketing efforts. That’s why purchasing lists from the internet is an extremely bad idea which can get you in trouble with your ISP provider. Namely, such lists are swarming with incorrect, outdated, and defunct contact information. It’s self-explanatory why using them is a waste of time and money. But apart from failing to reach your audience, there’s another risk – that your ISP will mark you as a spammer and blacklist you. This means that all your emails will automatically end up in the spam folders of your recipients. ISPs use inactive and defunct email addresses and set spam traps. If you persistently send your emails to these addresses, a red flag will be raised and boom! Your online reputation is ruined. We know that it’s hard to find relevant and verified customer information, and that’s why we offer a huge database packed with millions of relevant, high-quality B2B contacts from different industries. You can build different lists and create specific, highly-tailored campaigns for each of them. As a result, your delivery, open, and click-through rates will go up substantially and generate you fresh, qualified leads. Once you generate leads, they will be analyzed by the Autoklose proprietary software and evaluated based on their engagement and the probability of making a purchase. So, are you ready to beat the odds and overcome the biggest obstacle on your way to Klosing? These 5 strategies can help you attract new prospects and keep your funnel brimming with qualified leads all the time.